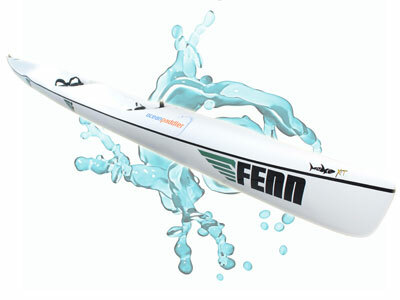 Fenn Swordfish- Designed specifically for the intermediate paddler. 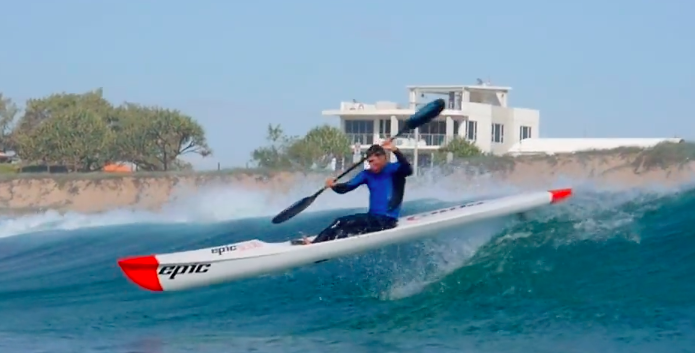 The Swordfish offers amazing downwind surfing ability, and is the next step up from the Fenn XT or for those looking for greater speed and a new challenge. 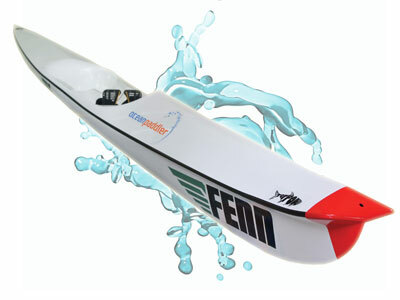 The Swordfish easily picks up the runners similar to the more advanced skis but offers the paddler more stability and therefore comfort and control in bigger conditions. 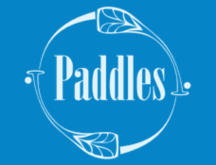 Designed specifically for the intermediate paddler. 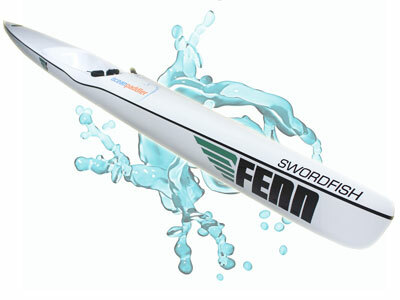 The Swordfish offers amazing downwind surfing ability, and is the next step up from the Fenn XT or for those looking for greater speed and a new challenge. 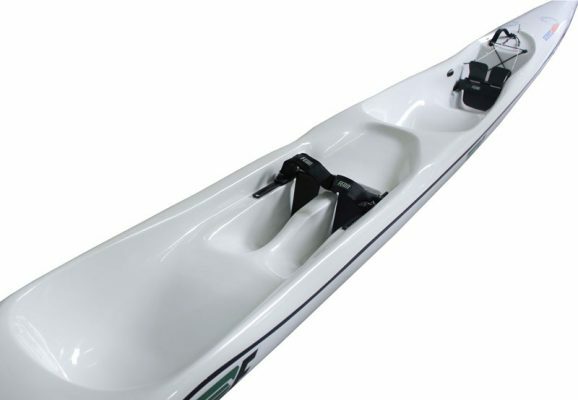 Wide Seat Swordfish now available – The Swordfish is now available with a wider seat for the larger paddlers. 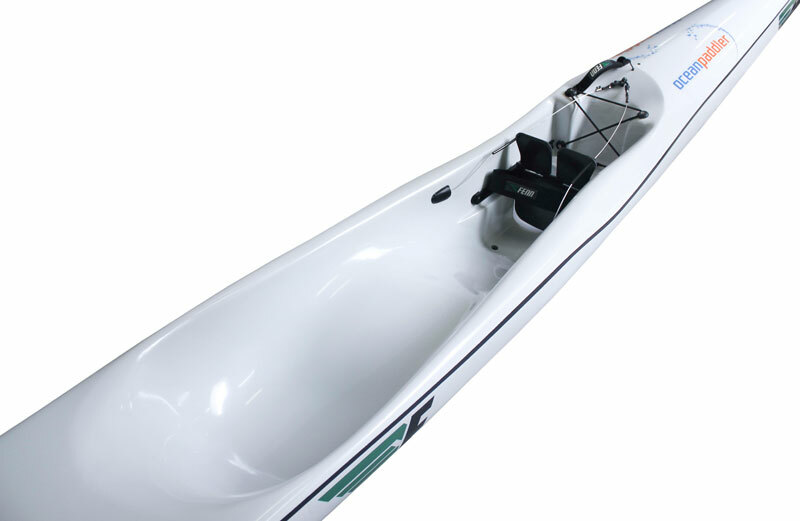 The internal seat bucket width is 2cm wider. The hull shape remains the same as the standard Swordfish. All prices exclude freight and delivery charges. Prices subject to change. Vacuum Bagged Fiberglass, Poly ester resin.